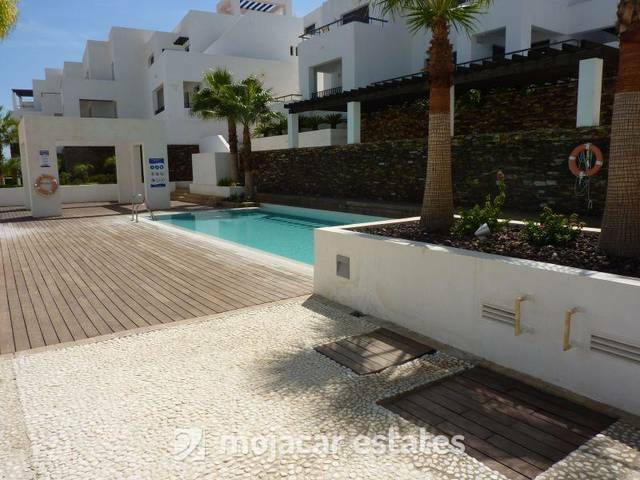 Fantastic apartment for 6 people in Mojacar Playa in community with swimming pool and gardens located approximately 300 metres to beach and amenities. Lovely decorated all throughout with very good size terrace overlooking swimming pool and with lovely sea views. There are 3 bedrooms, 1 with double bed (1.50m wide) another one with double bed ( 1.35m wide) and the third bedroom 2 with 2 single beds, 2 bathrooms, one with bath and the other with shower. Fully equipped kitchen and lounge with dining area with access to terrace.